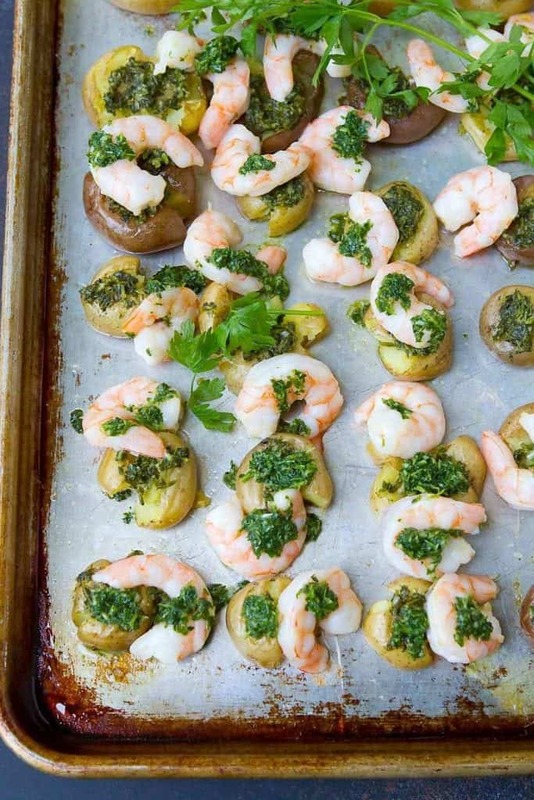 Easy clean up and tons of flavor in this Chimichurri Shrimp and Potato Sheet Pan Meal. 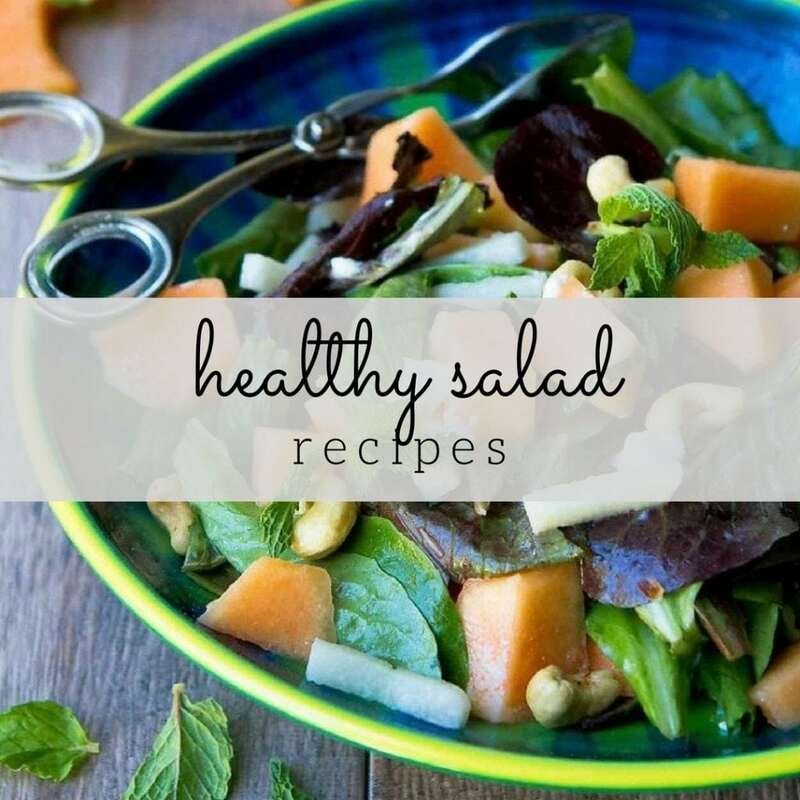 Another healthy weeknight dinner idea. 381 calories and 8 Weight Watchers Freestyle SP. This post is in partnership with The Little Potato Company. Cooking an entire meal on one pan equals less clean-up, which is music to my ears at the end of the day. I don’t know about the rest of you, but my energy takes a nosedive once dinnertime is over, and dirty dishes are the last thing I want to think about. That’s where meals like this shrimp and potato sheet pan meal come into play. 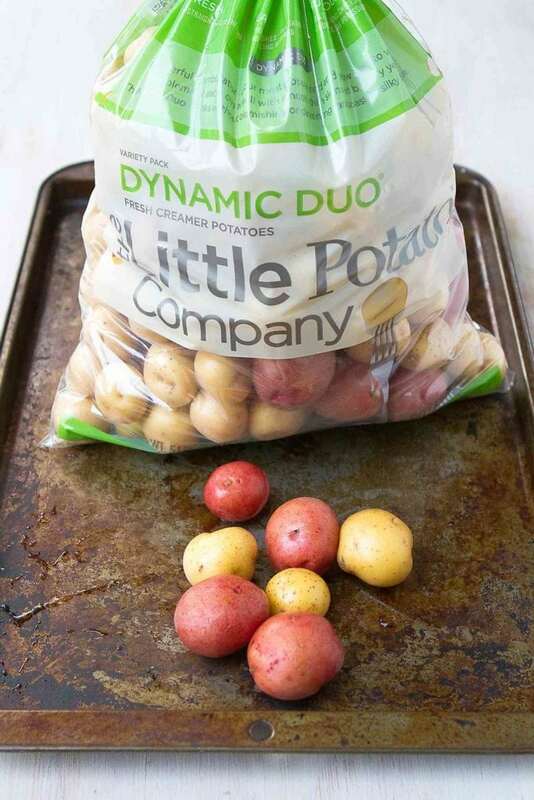 The beauty of using my favorite Creamer potatoes, by The Little Potato Company, in weeknight recipe is that they cook quickly – and no peeling is required! Plus, my family loves their little size (one bite wonders!) and their natural flavor just can’t be beat. Seriously – you will never go back to any other potatoes. Trust me. While these potatoes are great with just a pat of butter or drizzle of olive oil, a dollop of chimichurri sauce always makes things better. If you’ve never tried chimichurri, a pesto-type sauce hailing from Argentina, you are in for a treat. 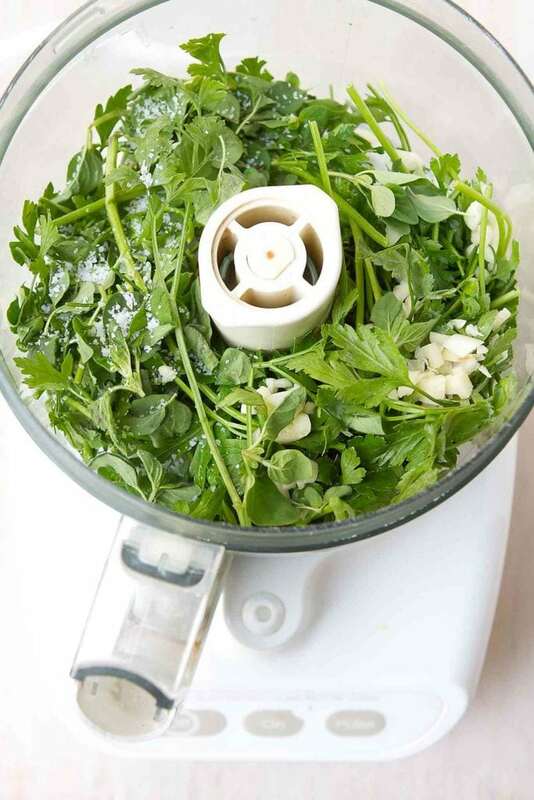 It comes together in mere minutes and be used on everything from salads to seafood to tacos. Garlicky and herbaceous, it’s a dead simple way to boost the flavors in this potato sheet pan meal. 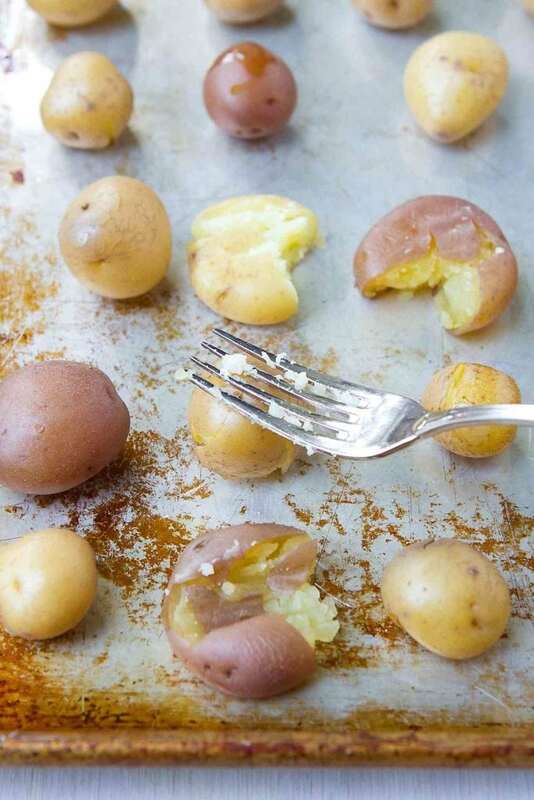 Start by cooking the Creamer potatoes in boiling water until just tender when pierced with a fork. 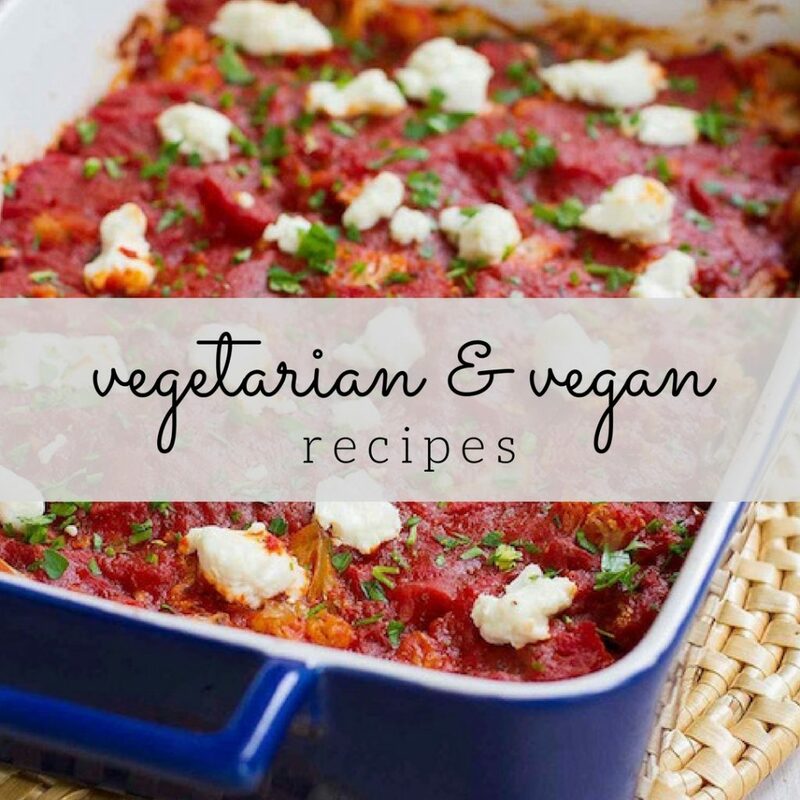 You don’t want them to be completely cooked because they will finish cooking in the oven. Arrange the potatoes on a baking sheet, with about an inch between the potatoes so that there is enough room to smash them slightly. I find it easiest to line them up in rows. Using the back of a fork or a mini potato masher, smash the potatoes about halfway down. It shouldn’t take much pressure to accomplish this. Brush with olive oil, sprinkle with salt and pepper, and pop them into the oven. It will take 12 to 15 minutes for the potatoes to start browning. 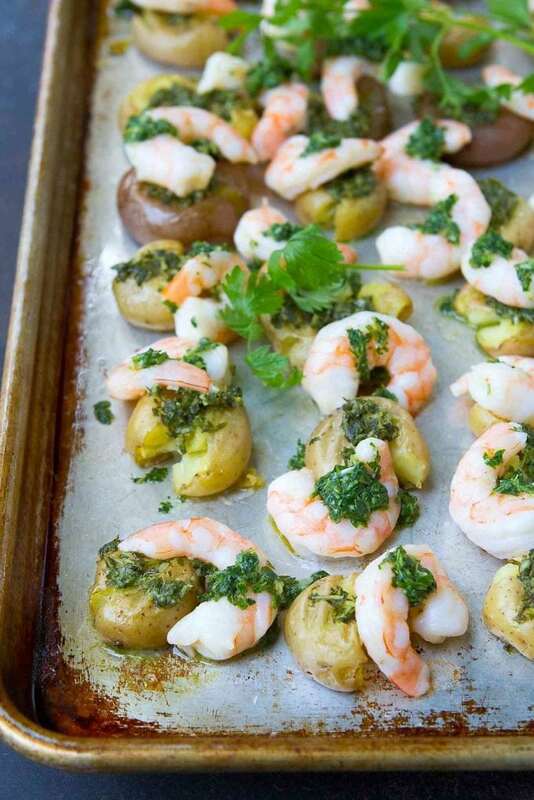 At that point, spoon some of the chimichurri dressing over each potato, then scatter the prepared shrimp over top. Be kind to the shrimp! Take care not to overcook them, as they tend to become rubbery if cooked too long. Five minutes should do the trick. Place the Creamer potatoes in a large saucepan and cover with cold water by 1 inch. Bring to a boil and cook until the potatoes are just tender (but not too soft) when pierced with a fork, 15 to 20 minutes. Drain. In a medium bowl, toss the shrimp with 1 ½ teaspoons olive oil, ¼ teaspoon salt and ¼ teaspoon pepper. Preheat the oven to 425 degrees F. Lightly coat a baking sheet with olive oil spray. Arrange the potatoes on the prepared baking sheet. Partially smash each potato with the back of a fork. Brush the potatoes with 1 tablespoon olive oil. Sprinkle ¼ teaspoon and ¼ teaspoon pepper over the potatoes. Roast the potatoes until they are starting to brown, 12 to 15 minutes. 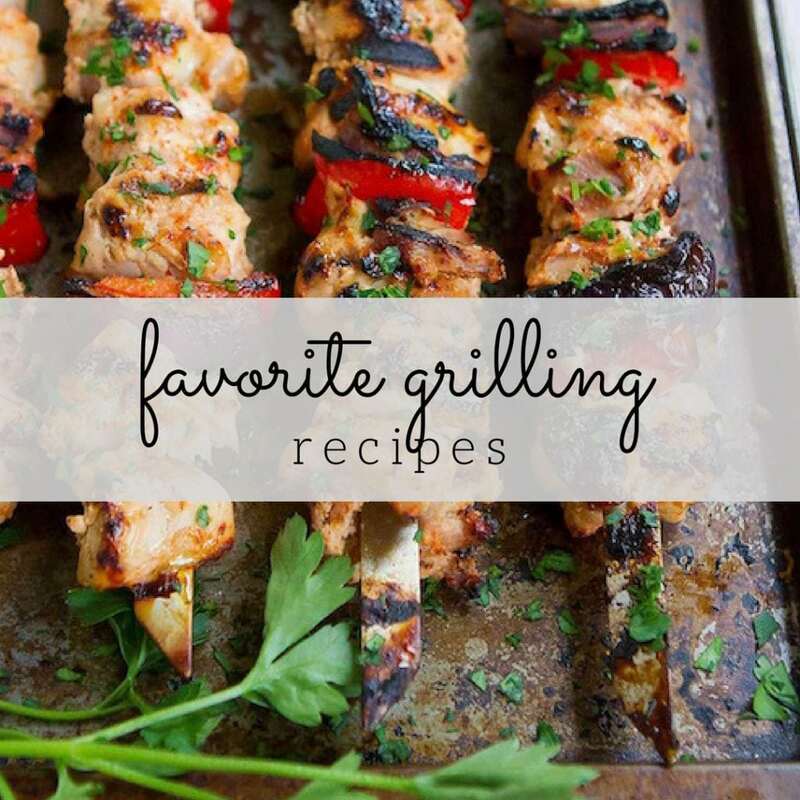 Set aside 3 tablespoons of the chimichurri sauce for drizzling later. 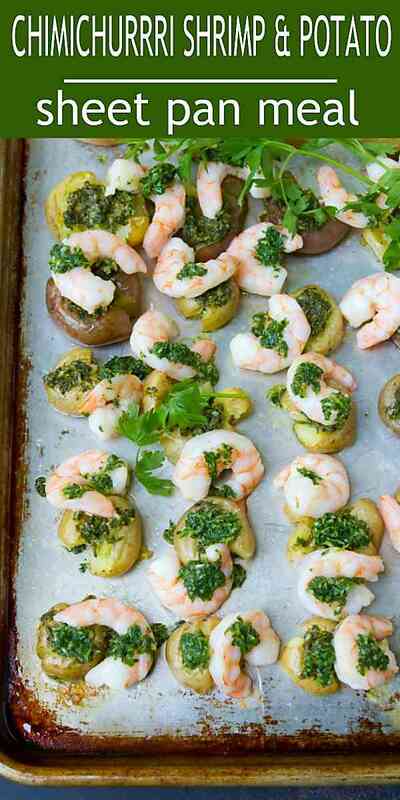 Spoon the rest of the chimichurri over the potatoes, then scatter the shrimp over the potatoes. Return the potatoes and shrimp to the oven and cook until the shrimp are just cooked through, about 5 minutes. Take care not to overcook the shrimp. Spoon the rest of the chimichurri sauce over the shrimp and potatoes. Serve. Disclosure: This is post is sponsored by The Little Potato Company. All opinions are my own. This post contains links to my Amazon affiliate page. Any revenue made from sales through these links helps to support this blog. Thank you!